The choreographer may be lauded for his narrative ballets, but his abstract one-acts are equally worth seeing. Leading choreographer and Royal Ballet Artistic Associate Christopher Wheeldon is perhaps best known for his narrative ballets, which for The Royal Ballet include the ever-popular Alice's Adventures in Wonderland, and his newest work, the acclaimed The Winter's Tale. But, like many great choreographers, Wheeldon's bread and butter is the one-act abstract ballet. Over the course of his partnerships with The Royal Ballet and New York City Ballet, and with companies around the world, Wheeldon has created a magnificent portfolio of short ballets that are each exquisite examples of his distinctive choreographic language. To mark the return of DGV, we've picked out a selection of films from companies around the world showing Wheeldon's style, both in the rehearsal room and on stage. 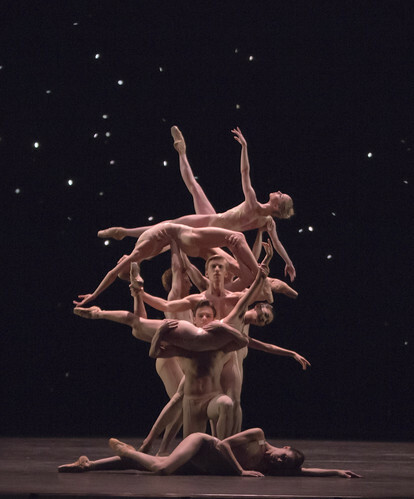 Wheeldon's first work for NYCB as the company's first artist in residence was Polyphonia, first performed in 2001. Wheeldon set the work to four extremely taxing piano pieces by Hungarian composer György Ligeti – in this interview with NYCB he describes how he decided to 'find a really, really hard piece of music that's going to scare the living daylights out of you. I found the Ligeti piano pieces and thought ok this music is brilliant, it's terrifying and I wouldn't know what to do with it'. It's a work that demands careful counting from the dancers (see Royal Ballet dancer tackle the first movement in rehearsal with Wheeldon here) – but that pays thrilling dividends when Wheeldon's choreography brings out the underlying patterns within the music. Wheeldon created After the Rain for NYCB's 2005 New Combinations Evening, an annual celebration of the company's founder George Balanchine. The original ballet is in two parts, with the first for three couples. But is the second part, a pas de deux set to Arvo Pärt's Spiegel im Spiegel, that has really hit a chord with audiences. The pas de deux was created on Wendy Whelan – a regular collaborator with Wheeldon – and Jock Soto, shortly before Soto's retirement. In an interview with Pacific Northwest Ballet for their revival of the pas de deux, Wheeldon described how 'it wasn't until after having an audience see that I realized people were very moved by it… Some people think that they see this idea of loss, or some of love. That's the wonderful thing about making abstract dance, that you all get to decide the story that you see'. In 2003, the extract was performed by NYCB principals Maria Kowroski and Ask la Cour on the 57th floor of 4WTC, the skyscraper that stands on one corner of Ground Zero in New York. 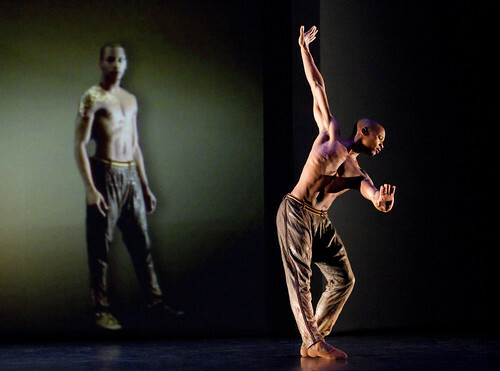 One of Wheeldon's first works for his company Morphoses was Fool's Paradise, first performed in 2007 at the company's inaugural season at Sadler's Wells. Joby Talbot created a full orchestration of his 2002 chamber work The Dying Swan, a soundtrack for Yevgeni Bauer's 1916 silent film of the same name. Talbot carefully nuanced his orchestration to support Wheeldon's choreography: 'I wanted to be able to use the broader orchestral sonorities to match the scope of Christopher's onstage vision, but also have the ability to shrink back to the piece's original intimacy at a moment's notice.' Wheeldon commented how 'The result is a beautiful score, excessively melodic'. It was the start of a partnership that has led to Talbot creating the specially-commissioned scores for Alice's Adventures in Wonderland and The Winter's Tale. What is your favourite Wheeldon one-act ballet? The Human Seasons / After the Rain / Flight Pattern runs 16–24 March 2017. Tickets are still available.